Back on the market. If you know someone looking for the perfect setup for a Fish Camp, Barbeque and Ribs, or Mexican Food Restaurant, this is a great possibility. The possibilities with this C-2 Greenville County Zoning are very attractive. 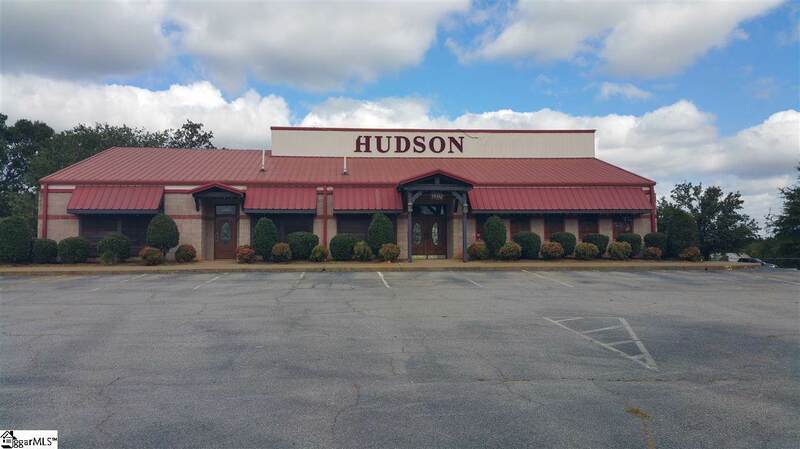 This multi-use property (formerly Hudson's Cafe) is conveniently located only .9 miles from I-85; 1.6 miles from White Horse Rd; 2.9 miles from the GHS Campus at Faris Rd; and only 5.8 miles from Downtown Greenville at I-385/E. North Street. 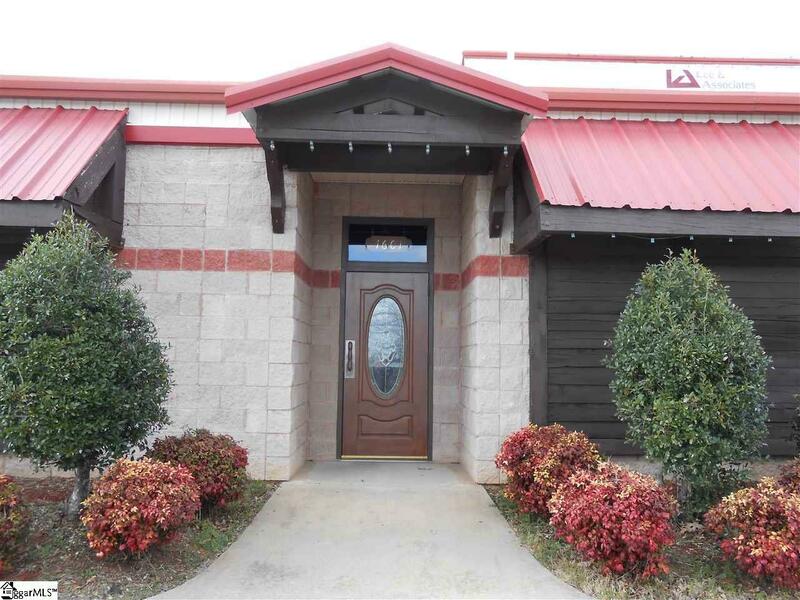 Custom built as a 6,400 SF restaurant with excellent road frontage & visibility on Piedmont Hwy, directly across the road from Lakeside Recreation Park, this building is designed to accommodate any type of business, with the clear span structure and room to expand the building by 3,000 SF. 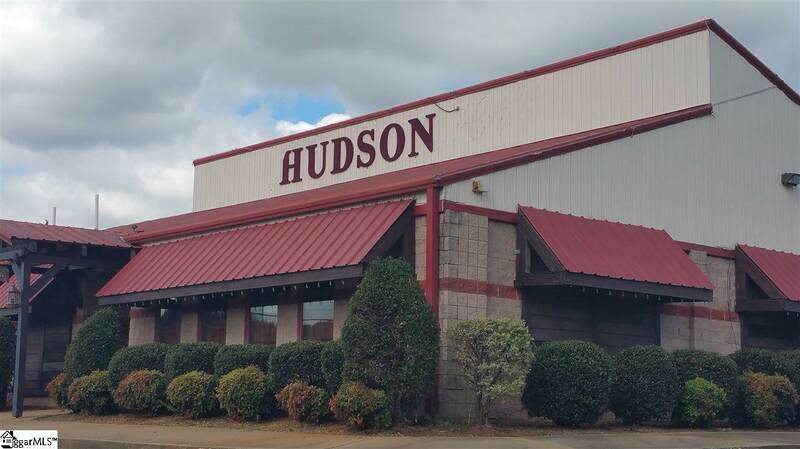 Other uses could be multi-tenant retail establishment; dry goods; or retail store/outlet; show room space for home improvement/cabinet shop; or a dance/entertainment /wedding reception venue. 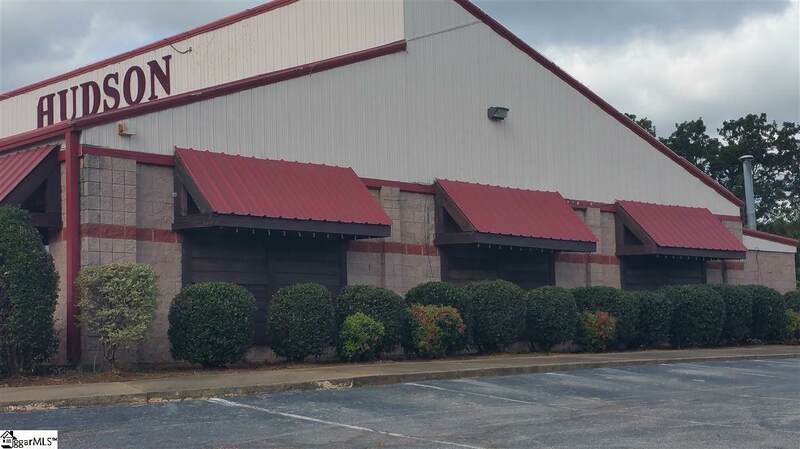 A rail spur on the back of the property also increases the versatility of this property. This building is situated on 2.611 acres, and has 3 phase power. The exterior walls of split-face and concrete blocks support the clear span, which allows all the interior walls to be moved or removed. The steel building built in 1992 has a metal roof, and has gas heat and gas hot water. There is plenty of parking with over 50 marked spaces and 2 handicapped spaces. The original 10 ton air conditioning units are not operational at this time. The allowance for their replacement will be negotiated with the sales contract terms. The remaining kitchen equipment and appliances will remain with the building at time of sale. All other fixtures including tables, chairs, decorations, wall hangings, etc. can be purchased separately with a Bill of Sale. The interior photos of the building are from several years ago when it was fully furnished. They are not a representation of the current status of the building. Any prospective Buyer must have a letter of verifiable funds or pre-approval from their lender prior to any showing. Listing provided courtesy of Bill Terry of Re/Max Realty Professionals.